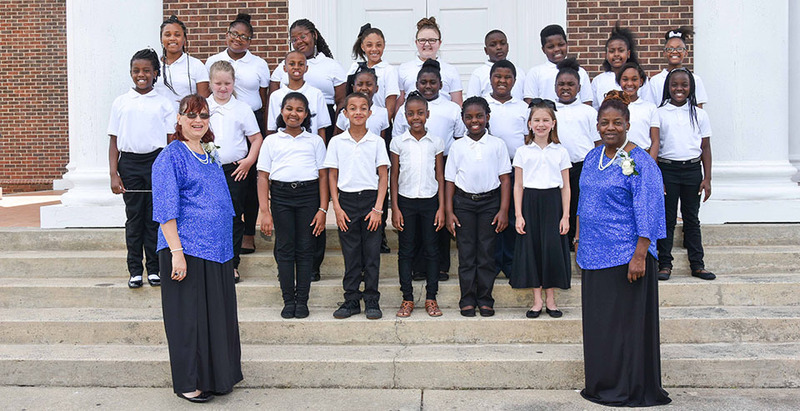 The Augusta Chorale is holding AUDITIONS FOR THE 2018-2019 SEASON, August 20, 2018, 7 – 9 p. m. Auditions ARE BY APPOINTMENT and will be held in Classroom 3, Paine College Music Bldg. To schedule an appointment, please contact Dr. Anderson by calling or texting her at 706.830.0991 or by emailing her at pwa226@icloud.com. Monday, August 27, 2018, 7 – 8:00 p.m.. The Augusta Chorale is hosting its Meet & Greet Reception on Monday, August 27, 2018 from 7 - 8 p.m. at the Lucy Craft Laney Museum, 1116 Phillips Street, Augusta, GA 30901. New, prospective, and returning members are invited. 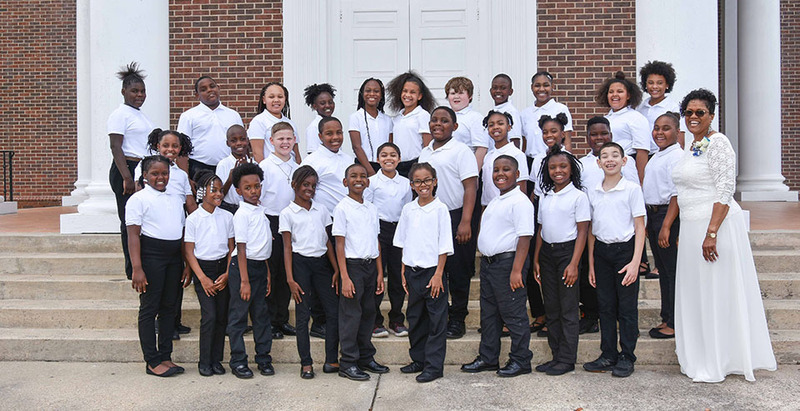 The Augusta Chorale will present “Shout for Joy” a suite of Christmas Spirituals by Robert DeCormier & other favorite carols on Sunday, December 9, 2018 at 4:00 p.m., in the Gilbert-Lambuth Memorial Chapel on the campus of Paine College, Augusta GA. 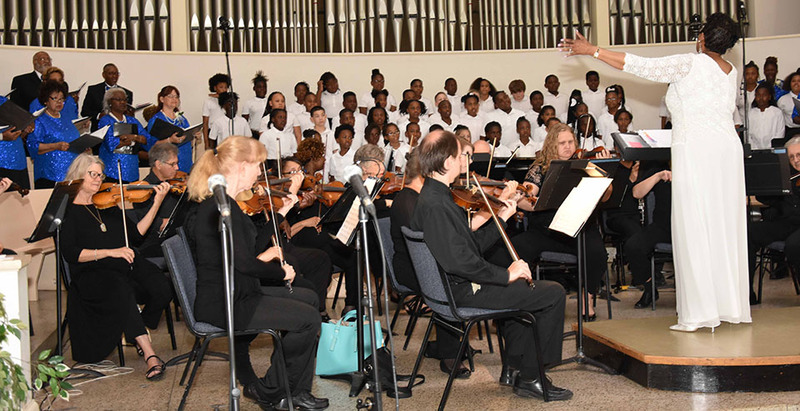 The Aiken Civic Orchestra under the direction of Mr. Adam DePriest, will accompany the choir. Advance tickets are $15 for adults age 18 & older; Children age 17 & under free! Tickets At-the-Door are $20 for adults age 18 & older. Children age 17 & under free! Please call 706.830.0991 or 706.836.9426 for tickets. or Click to PURCHASE HERE! The Augusta Chorale will sing at two hospitals that care for our veterans. Join us as we celebrate and remember those who have made personal sacrifices for the freedoms we enjoy. 5:30 pm Georgia War Veterans Nursing Home, 1101 Fifteenth Street, Augusta. 7:00 pm Charlie Norwood Veterans Administration Medical Center, Uptown Division., Freedom Way, Augusta GA. The Augusta Chorale will sing at the Senior Luncheon at the Laney Museum Wednesday, December 12 11:30 a.m. The museum is located at 1116 Phillips Street, Augusta, GA. Lunch reservations costs $12.00. For more information, please call the Laney Museum at 706.724.3576. 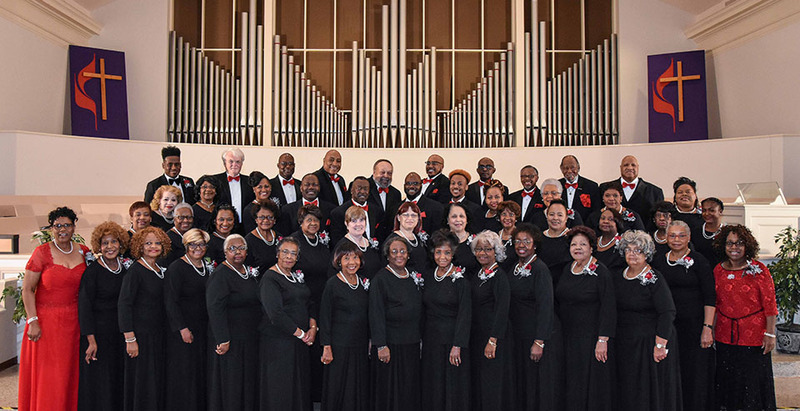 For our first year, the Augusta Chorale will be perform at the 32nd Martin Luther King Celebration. This will be held at Good Shepherd Baptist Church, 1714 Olive Rd, Augusta, Georgia 30904. 706.733.0341. The Chorale will sing at the Paine College Lent service during the month of March or April in the Paine College Gilbert-Lambuth Memorial Chapel. Exact date to be announced. 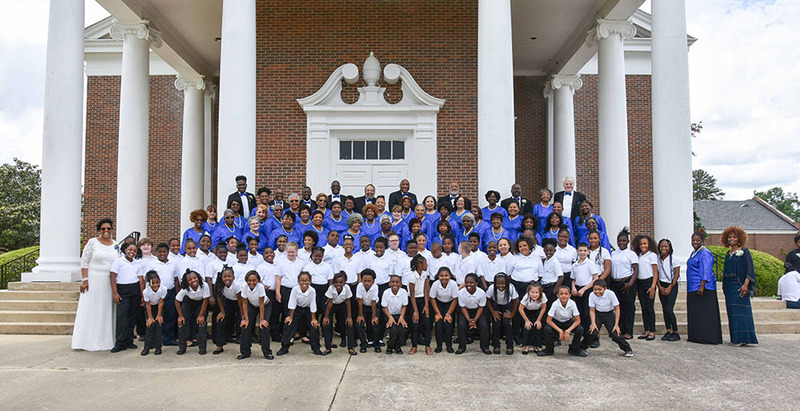 The Augusta Chorale will present Unforgettable Songs & Singers, Sunday, May 5, 2019 at 4:00 p.m. at the Gilbert-Lambuth Memorial Chapel on the campus of Paine College. The Aiken Civic Orchestra, under the direction of Mr. Adam DePriest, will accompany the Chorale. Advance Tickets are $15 for adults age 18 & over; Children age 17 & under free! At the Door Tickets are $20 for adults age 18 & over. Children age 17 & under are free! Please call 706.830.0991 or 706.836.9426 for tickets. 5:30 p.m. Georgia War Veterans Nursing Home, 1101 Fifteenth Street, Augusta. 7:00 p.m. Charlie Norwood Veterans Administration Medical Center, Uptown Division, 1 Freedom Way, Augusta, Georgia.